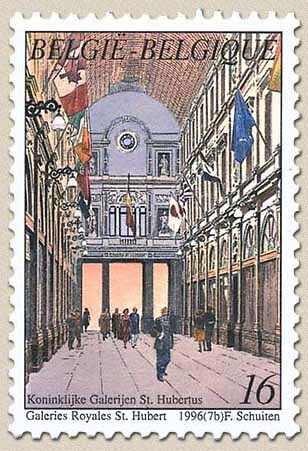 Brussels, heart of Europe are four stamps by François Schuiten. Issued on 8th June 1996. 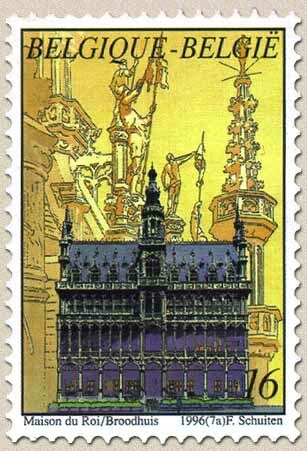 The first stamp displays La maison du Roi , Grand Place. 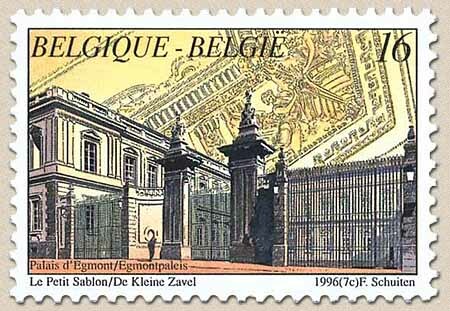 The second one displays Palais d'egmont, Petis Sablon. The third one the Galeries Royales St- Hubert. 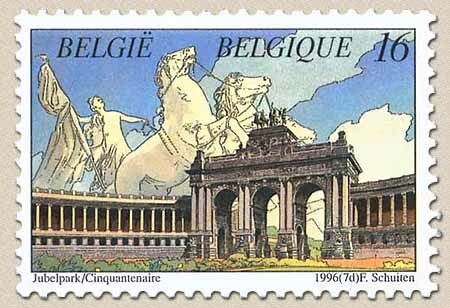 And the last one the Cinquantenaire. All buildings are in Brussels. 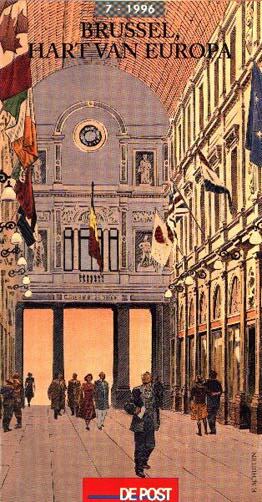 At the third stamp you can seen Constant Abeels walking through the galeries.